Rules Guy: What happens if you accidentally use another player's club? Rules Guy: What happens if you unknowingly use another player’s club? I was sharing a cart with a friend, who accidentally put her wedge in my bag. After I pulled a chip shot and hit her in the foot, I realized the club was hers. So we have quite a few issues here: 15 clubs in the bag, using someone else’s club, hitting a competitor. Can you help untangle them? — LIZ BURCHILL, SAN DIEGO, CALIF. Putting a club into the wrong bag is a common mistake. But what if you hit a shot with a club that isn't yours? Your query is indeed a mixed bag. As you know, players aren’t allowed to share clubs with one another. 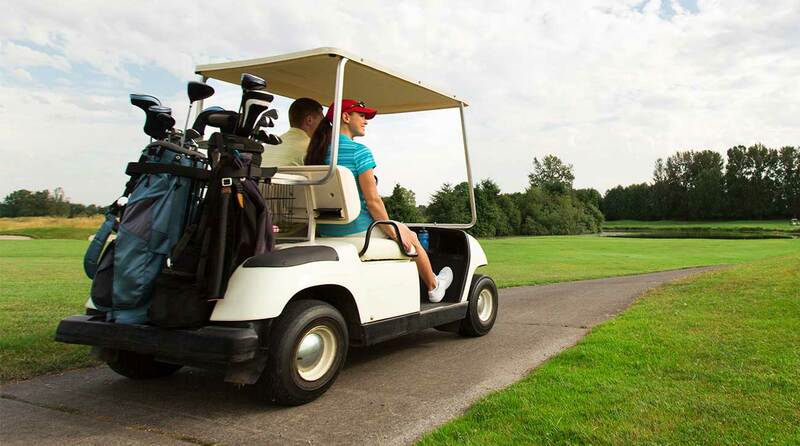 There was no issue with your friend’s accidental error … until you made a stroke with her club. Rules Guy: Can I draw a target line in the dew? At that point, realizing your mistake, you’d need to declare the club immediately out of play and take a two-stroke penalty, under Rule 4.1b. A player is responsible for knowing which club he or she is using. On the bright side, there’s no penalty for the accidental deflection (Unconscious revenge? A Freudian chip?) and you just play the ball as it lies.